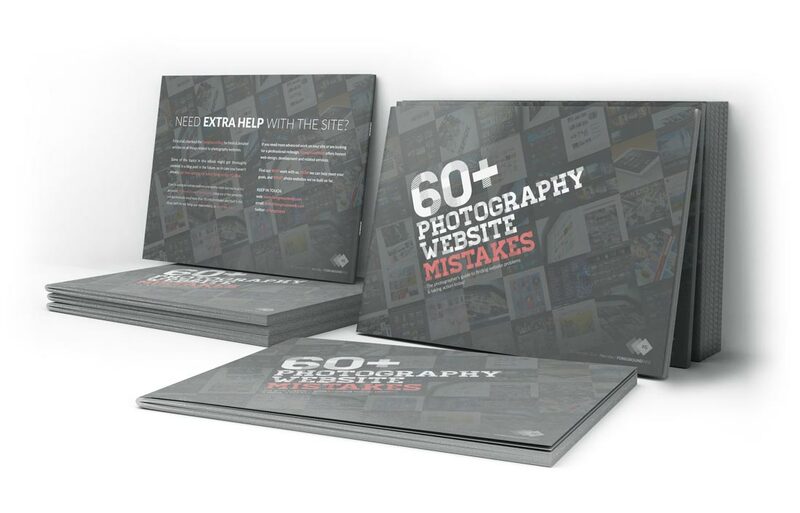 This is the new place to learn about photography websites. If you’re a professional photographer or agency looking to get the most out of your website, or just starting out and learning how to build one, you’ve come to the right place. Glad to have you on board! With so many photographers out there, it has become increasingly difficult to stand out, to turn a passion into a thriving business. Adding a quick coat of paint over a site theme usually doesn’t cut it anymore. Being unique and focusing on great content are strong virtues these days. A clear and friendly photography website (that lets the images shine & doesn’t get in the way) can be a powerful tool for finding & selling more work. However, the proper anatomy of a great photo site is sometimes hard to achieve, especially when you start getting over-stressed with design elements, coding issues, SEO, site performance etc. ForegroundWeb aims to be your friend in this process. This blog is where you’ll find fresh articles and tips for building amazing photography sites, and taking your business to the next level. And it’s just the beginning, I hope to be adding useful articles here frequently, to make it a powerful “go-to” place for all photo website related info. I plan to write well-structured articles here, with bite-size pieces of information that you can use on your site. If you have any struggles with your photography business or just want to share some article suggestions, don’t hesitate to write us a quick message, I read each and every one. Your idea might be the basis for a future post on the blog here! If this site is a good fit for you, don’t hesitate to subscribe to free email updates. You get all the best from ForegroundWeb plus curated photography news & links, straight to your email inbox for free. I’m Alex Vita, and am thrilled to be writing here and making my voice heard! I have a lot of experience with photography websites and ideas on how to make things better, you can read my story on the About page. ForegroundWeb has been my brain-child for more than a year. I’m a perfectionist (which isn’t always a good thing), so I really wanted to get all the pieces of the puzzle right first. I was a grueling process, yet seeing my work launched now is fantastic. Consider me enthusiastic about the future! It would be fair to include a small disclaimer here: I am somewhat new to professional writing/blogging, so the writing quality here might be bad. I am not a native English speaker after all. Since I’m almost just starting out with blogging, there will be a small learning curve, so please bear with me. Any feedback along the way is more than welcome, I mean it. I will do my best to improve the content and writing quality over time, which might include getting professional editorial input as the ForegroundWeb team expands in the future. Please leave a comment below for any thoughts or wishes, they’d be much appreciated.